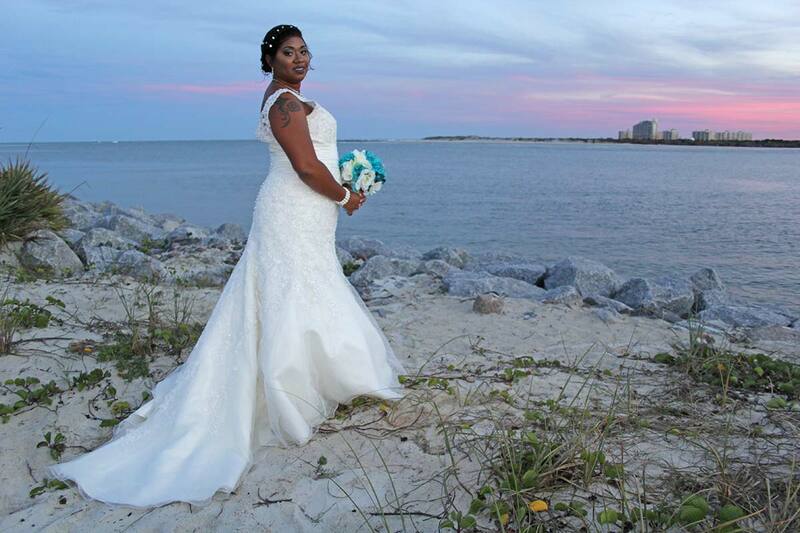 Florida Beach & Destination Weddings! Gorgeous Florida Beaches, perfect for Destination Weddings and Florida Residents too! Weddings at Barns, Country Clubs, Bed & Breakfasts, Parks, Homes & other locations. Call us or click the button to be guided through the planning process! 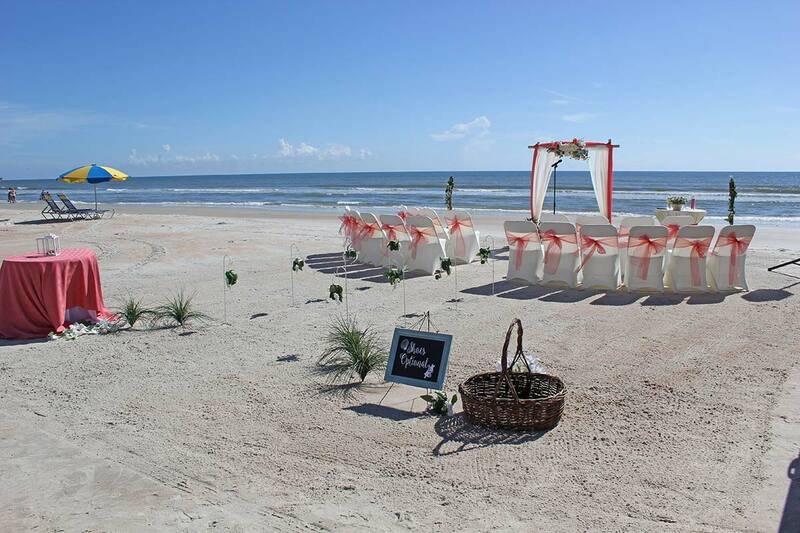 Paradise Beach Weddings services the East Coast of Central Florida, Volusia County. Primary beaches are New Smyrna Beach, Daytona Beach, Ormond Beach , Ormond by the Sea, Wilbur by the Sea and Ponce Inlet. We are one hour from Orlando, two hours from Jacksonville and six and one-half hours from Atlanta. I want to work with you, Paradise Beach Weddings. Book your event date and time without payment. Use our online booking calendar and once we review, we will approve your date! You can pay the non-refundable - $100 - Save the Date fee online or we will bill you within 10 days of your booking to secure your date/time. Contact us to schedule a call or in-person meeting to start the details and planning around your destination or beach wedding event all other needs. A huge Thank you to Steve and Sandy for making my wedding day very special! We had a beautiful set up and everything was just perfect. We couldn't have imagined anything better. They blew my expectations our of the water! Everything they said they were going to do they did! I would highly recommend Paradise Beach weddings to anyone. You will not be disappointed. Thank you again to both Steve and Sandy for everything. I would like to thank you Steve and Sandy for making my dream wedding come true. I always imagined a small and personal but absolutely beautiful set up and that is exactly what you delivered and so much more. We have enjoyed every little thing about working with you guys from our first phone call to our meeting with Steve, and of course our ceremony. .... With your website alone I planned our wedding in just a couple of hours, picked a day, saved the day, and had a very reasonable invoice within days. Thank you so much! 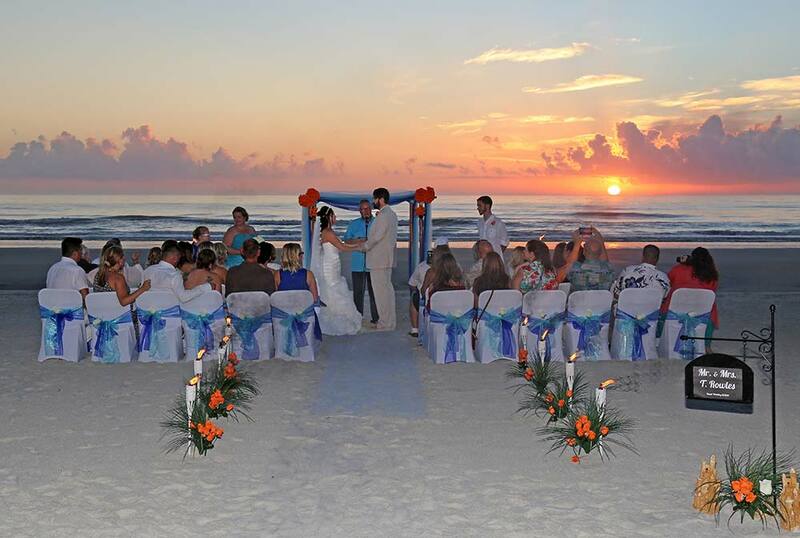 We couldn't have been blessed with a more perfect wedding ceremony than Paradise Beach Weddings! Thank you for making our special day, extra special! Steve and Sandy did a STELLAR job. We really appreciate everything they did for us. We were guided the whole way through the process. They took our expectations and blew us away. We wouldn't change a single thing. 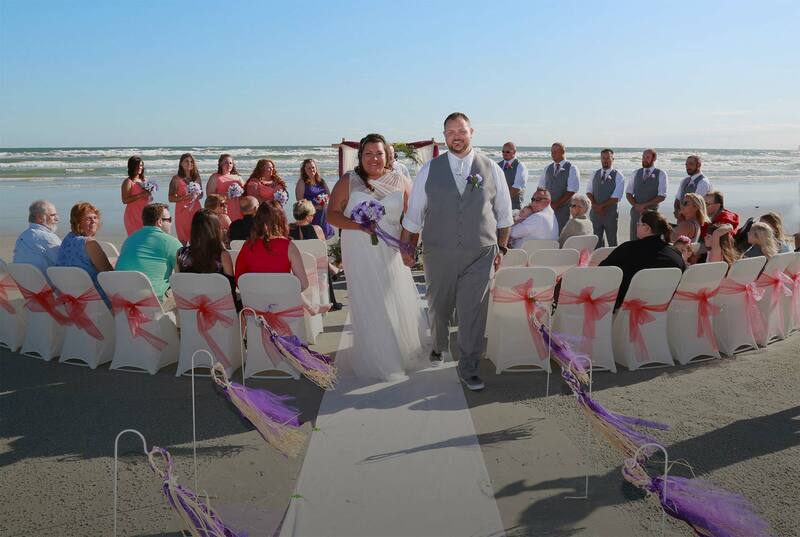 We asked for so many custom details--our arch, our vows and programs, our processional, the first dance, and recessional, our exchanging of rings, and our sand ceremony. We were able to do exactly what we wanted for our special day. Thank you for the incredible memories! They are the best destination beach wedding company. Everything they did was perfect. Professional and just wonderful. Highly recommend before anyone else! Amazing job! Steve and Sandy were easy to work with out of state. Made our wedding day perfect. Thanks for everything! Got married on 7/3/2015 with their help! It was a last minute plan for a wedding but they set it up so well! It was beautiful and they were so helpful and supportive to both me and my husband. I love that it's a small family owned business. So beautiful, I was so happy with everything they did! If there was higher than 5 stars, they deserve it! Thank you so much you two! I highly recommend Steve and Sandra as your wedding planner. Very professional and willing to work out anything you want. Great communication and couldn't ask for anyone better to help us with our special day. Very caring and highly recommend. Steve and Sandra were amazing! Highly recommend Paradise Beach Weddings for the perfect beach wedding!! They took our vision and brought it to life to make our wedding beautiful! Wonderful couple to work with! Steve and Sandy did and amazing job. I felt completely relaxed regarding the arrangements due to their quick responses to my questions and their complete professionalism. I was extremely satisfied with their services!! Everything was beautiful!!! Absolutely beautiful wedding!! They took care of everything and helped make the event perfect!! If there were an option for more stars they would definitely get it from me. Thank you! !